Do many of the UFOs We see in our skies come from Earth? I have been investigating the UFO/Earthly connection since the 1980’s and I say yes! I am now working on my next book working title, “The Hollow Earth Insider Final Report: The Earthly Origin Of UFOs” As many of us who look at the UFO mystery know it has long been known the UFOs have been seen coming out of, or hovering over, bodies of water, mountains and other earthly places. It is also a fact that UFOs are ALWAYS seen in earth’s atmosphere – you never see reports of UFOs seen from our powerful telescopes coming from deep outer space, although many small and large asteroids and meteors HAVE been seen in outer space. We also know that during World war II many of the NAZI scientists who were working on such craft were brought to America under the secretive Operation Paperclip. Many of these scientists were also taken by the soviets following World War II. For the last 50 years scientists, “Urologists” and several 3-letter Government agencies have been asking the question, “Do UFOs Exist?” Of course, by concentrating on that question they continue to ignore the evidence. This series will examine what we know, what we don’t know and what “they” don’t want us to know. 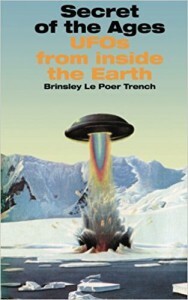 In a groundbreaking and controversial classic, one of the world’s most famous UFO researchers argues that the Hollow Earth theory has a sound basis in fact! 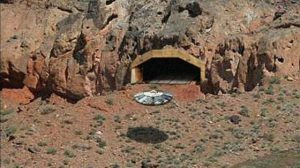 Even more startling, the massive tunnel systems that honeycomb our planet may well be intimately connected with the UFO phenomenon, which has perplexed, frightened, and fascinated mankind throughout recorded history. 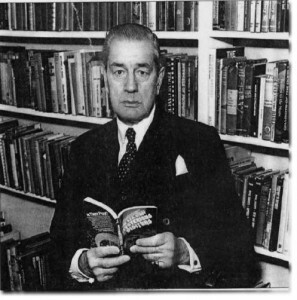 Plato, Haley, Euler, Symmes, Reed, Gardner, Shaver, Palmer and Bernard; all names well known as proponents of what is commonly and collectively known as The Hollow Earth Theory. Do UFOs really come from other galaxies, or are they just secret weapons developed here on earth? It seems odd to me that they always seem to show up on or very near to secret military installations. Of course the ultimate cover for secret weapons testing is to say “these things belong to Martians – not us” and hope that someone will believe you. So, are we really being visited by little green (or grey perhaps) men, or are UFOs from Earth – just part of the electro-gravity research efforts that have been continuing since the mid forties? Iran Defense Minister Ahmad Vahidi announced on June 10 that UFOs don’t pose a threat to Iran’s security. His remark came after an unexplained light was reported over several countries, including Iran, Syria, Turkey, Cyprus, Lebanon and Israel, according to Tehran Times.com. Just last week, several people in the Washington, D.C., area — apparently being vigilant on U.S. security — reported sightings of a UFO after spotting a drone being transported on the Beltway near the capital. When the U.S. Air Force officially closed its own 22-year investigation of UFOs in 1970 — a probe dubbed Project Blue Book — one of the reasons given for the termination of the study was that no UFOs evaluated by the Air Force were ever considered a threat to America’s national security. 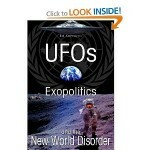 The Air Force had also determined and told the public that no UFOs represented any kind of advanced technology beyond current scientific knowledge and that no evidence pointed to the possibility that any UFOs had an extraterrestrial origin. And yet, military personnel have been telling a different tale in recent years. “The reason why the military is claiming they don’t investigate UFOs is because they don’t want to respond to people like you,” former Air Force Captain Robert Salas told The Huffington Post last October.